Rodney leading a session at the CCFG conference on Understanding daylight in the context of Continuous Cover Forestry, Westonbirt Arboretum, 2009. Rodney Helliwell died peacefully on 23th February 2018 after a long battle with cancer. He was 77 years old. 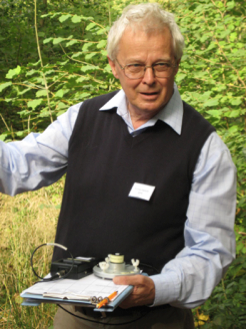 With his passing, the world of tree and woodland conservation in Britain has lost an important champion, someone not afraid to challenge orthodoxy and who promoted innovations rooted in a deep understanding of forest science. His sharp intellect and dedication to scientific methods made him a much sought-after colleague, and an esteemed tree and woodland expert. Rodney was one of the original founding members of Pro Silva, a signatory of the declaration of Robanov Kot (1989), the Pro Silva founding document. It is his championing of Continuous Cover Forestry (CCF), a term he was instrumental in defining and promoting, that will stand perhaps as his greatest legacy. He was the first chairman of the UK Continuous Cover Forestry Group (CCFG) and was responsible for establishing a formal association with ProSilva. Rodney contributed to many national and international conferences throughout his career, where he enjoyed sharing his research findings, meeting colleagues and engaging in lively discussion. This was certainly the case with his work on CCF, which resulted in him being recognised as a leading proponent among his peers in Europe. He also managed to combine his passion for trees with travelling across Europe with his family where he made long lasting friendships. A formative experience came in 1959, on a student placement to Sweden, when he worked for one of the few Swedish forest owners who practiced close-to-nature forestry, despite the post-war forestry industry’s crushing influence on silvicultural practices in that country. He delighted in recounting that this was the only profitable forest in Sweden and one where the owner always had timber to sell, keeping the coffers full, staff employed full-time and the estate permanently wooded. To Rodney, this was a simple demonstration of what so often happens when state and corporate institutions uphold practices that work against common sense and refuse to acknowledge what appears to be an obvious truth. In addition to his work related to continuous cover forestry, Rodney was active in other areas of tree and woodland management. He was a prolific author of research papers, report and commentaries. His introductory book on CCF (2002) was a sell-out, and a revised edition appeared in 2013. His skill in combining academic rigour with practicality led to the development of a valuation tool for amenity trees and woodlands, known as the Helliwell System. The basic approach is to allocate points under a number of different criteria, such as tree size, life expectancy and suitability to setting, and then attach a monetary value to the cumulative point score. Rodney first published his system in 1967, when he was only 27 years old. It remains the most widely recognised methodology for valuing the visual amenity provided by individual trees and/or woodland in Britain and in parts of Europe. Professor Marcel van Miegroet, of the University of Gembloux in Belgium, claimed to be “a partisan of the Helliwell System” which was adopted as the approved basic method for use in Belgian law courts. Among Rodney’s many consultancy projects, he was terrestrial ecologist to the Channel Tunnel project (1985-1996), where he was responsible for many innovations in habitat translocation and woodland creation. Widely recognised by his peers, Rodney was elected a Fellow of both the Institute of Chartered Foresters and the Arboricultural Association. Rodney Helliwell was one of the great thinkers and doers in British forestry over the past 50 years. 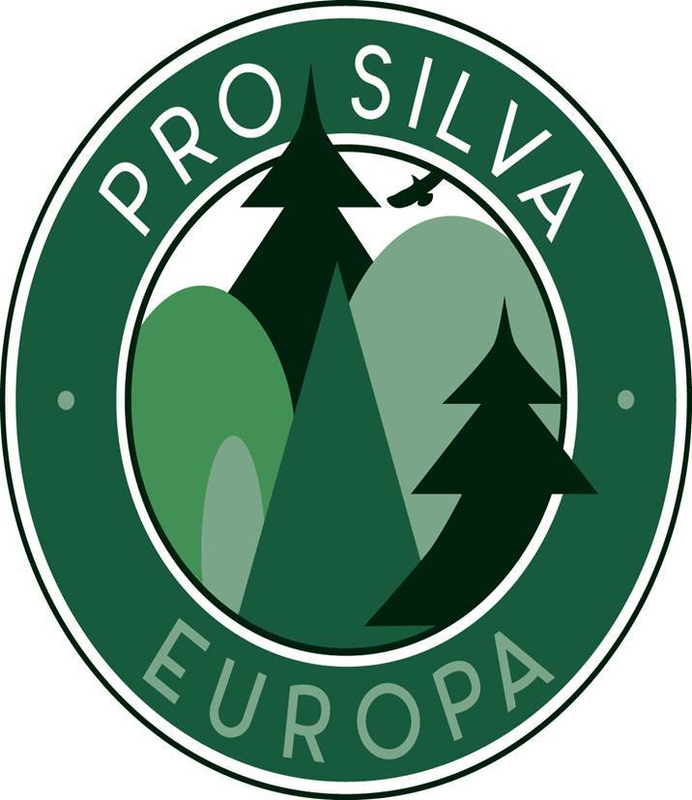 A lover of trees and nature, he will be remembered as a founder of the Pro Silva movement and a father of continuous cover forestry; his legacy is a profound change in management practices that will help shape our future, and the woodland landscape. He leaves his wife Carole, sons Tristan and Linden, and grandchildren Toby and Saffronrose. Rodney Helliwell, Silviculturist, Arboriculturist, Ecologist. Born: 2nd April 1940, Halifax, Yorkshire; Died: 23rd February 2018, Wirksworth, Derbyshire. This appreciation first appeared in the CCFG Newsletter 38, Spring 2018. We thank CCFG for permission to reprint an abridged version in the Pro Silva website.